We use tracking cookies to enhance your browsing experience and show content like embedded YouTube videos on our website. Do you permit the use of tracking cookies? 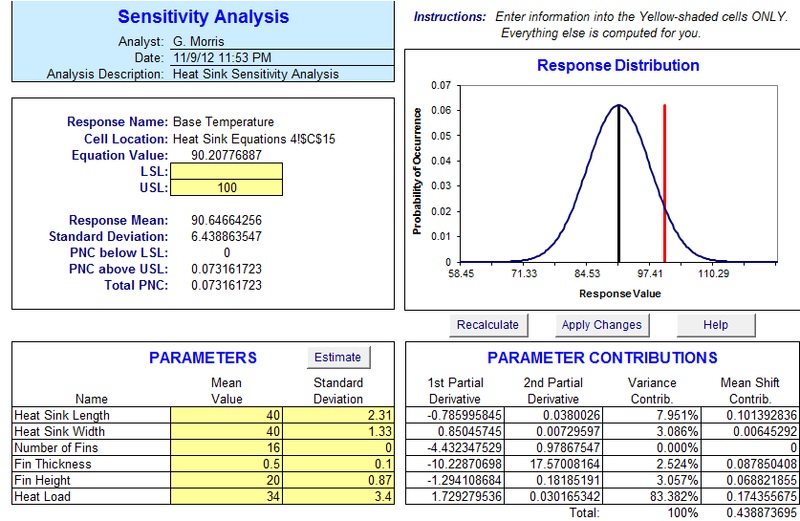 Sensitivity analysis is a quick and easy way to assess the magnitude of response variation caused by the variation of the parameters, and it also identifies key drivers of response variation. The response mean and standard deviation are computed using the input parameter means and standard deviations and the function's low-order partial derivatives. If the input parameters of a mathematical function have statistical variation, then the output response will also have variation. 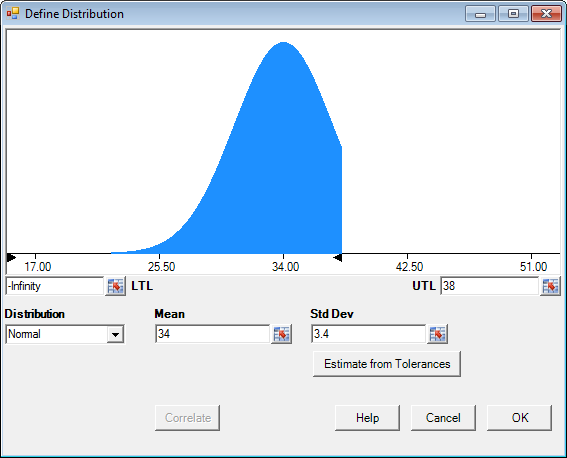 Sensitivity analysis is a quick and easy way to compute the mean and standard deviation of responses using the input parameter means and standard deviations and the function’s partial derivatives. 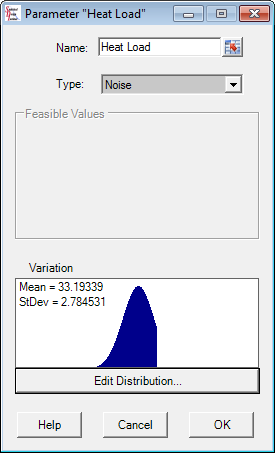 If the response has a defined Upper Specification Limit (USL) or Lower Specification Limit (LSL) then the probability of the response falling outside of these limits will be computed using the tail areas of the Normal distribution. This probability is called the Probability of Non-Compliance or PNC. Pareto plots of the contributions of each parameter to the response are automatically created. This can be useful for identifying which parameters have the largest impact on response standard deviation and which parameters could be changed to reduce the response PNC. Probability distributions can be defined as: Normal, Uniform, Triangular, Lognormal, Exponential, Weibull, Beta, Gamma, Johnson, or Histogram. 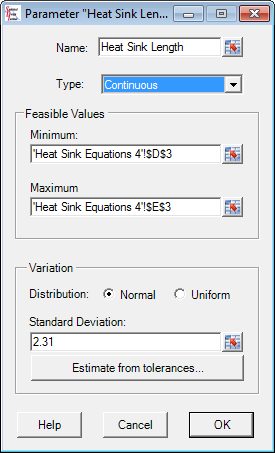 Multiple distributions can be combined and/or truncated to create unique composite distributions. 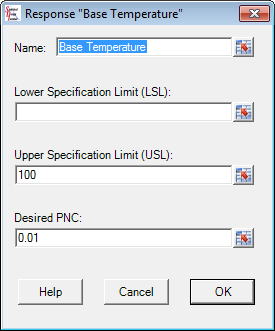 Define the lower and/or upper specification limits for each output response. Define the Probability of Non-Compliance (PNC) goal. 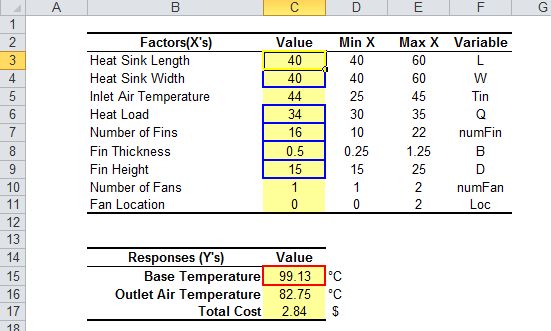 Define input parameters and output responses on Excel worksheets. 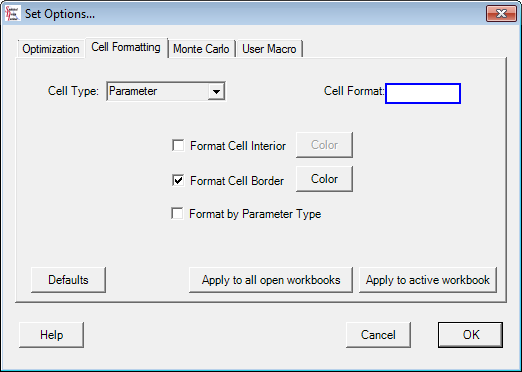 Quickly modify the problem using the Formulation Editor. 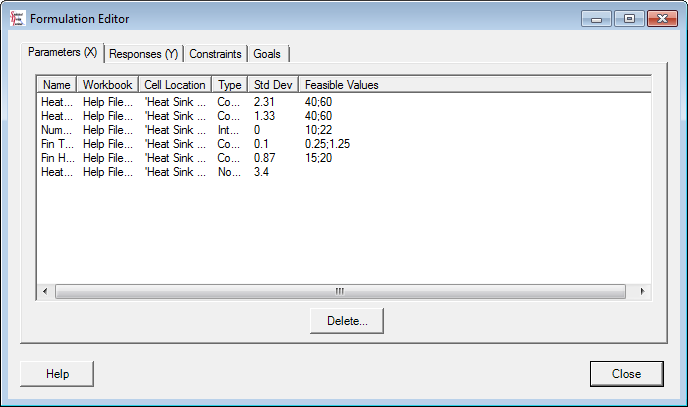 This video shows Sensitivity Analysis and Monte Carlo using SDI Tools v3 in action. We will be updating this video to reflect changes to SDI Tools v4 soon. The video content is missing because you have opted out of cookie tracking or your cookie has expired. Update your cookie status on our Privacy Page.